Can ‘PlayHouse’ be finally called a home? 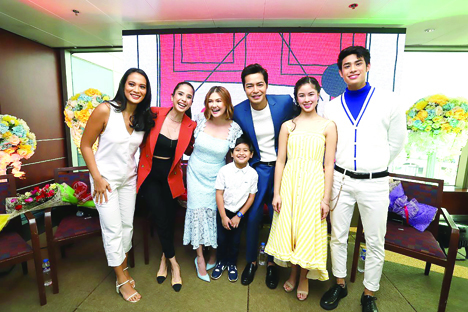 It turned to be an emotional moment for the cast of PlayHouse when a member of the press asked each them about the memorable things they’re going to miss about the show. “When you work with the right people, everything becomes easy. 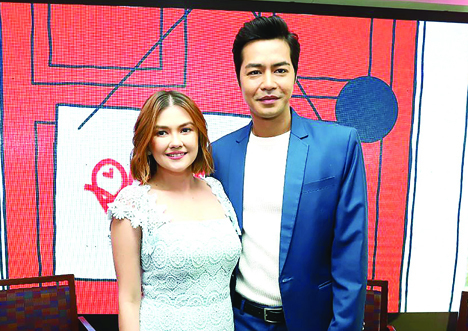 We thought Playhouse would just be a job but we all ended up being friends in real life,” teary-eyed Angelica Panganiban said while composing herself and still string to sound funny. PlayHouse is a story of a modern-day couple and a child who is seeking a new home. Obviously, the members of the cast have created a special bond and have found a home in each others’ company -- a special kind of friendship they didn’t expect even from the start of the television project. The series instantly attracted the viewers when it premiered in September recording a double-digit rating and winning over its rival. It has consistently won its timeslot and even hit an all-time high national TV rating of 20.5 percent. It is also a consistent trending topic on Twitter, with thousands of tweets daily. The action and suspense reached fever pitch last week as PlayHouse garnered a national TV rating of 17.9 percent or ten points higher than its rival program Hiram na Anak’s 7.8 percent, according to data from Kantar Media. Now that the show is down to its last episodes, the riveting turn of events grip the audience even more. After Robin’s (JJ Quilantang) successful rescue from the hands of his foster father, fate will continue to hinder Patty (Angelica Panganiban) and Marlon (Zanjoe Marudo) from having the perfect home they have always dreamed of after finding out about Robin’s fatal illness. While Peter (Ivan Padilla), who had abducted Robin, is still on the loose, Robin’s life remains in danger after news broke that he is in need of immediate kidney transplant. Because of Robin’s condition, Patty and Marlon will work hard to save their adopted son’s life and secure their legal guardianship of him. But the process will also remind them of the love they once had for each other, which will open old wounds in their hearts. The series also has its own spinoff titled ’ZEKEling Maging SHIELA,’ an iWant original series that features the love team of Donny Pangilinan and Kisses Delavin. After everything that they have been through, will the former couple be able to give Robin the home that they have also dreamt for themselves? Meanwhile, also part of PlayHouse are Isabelle Daza, Kean Cipriano, AC Bonifacio, Ariella Arida, Dexter Doria, Nadia Montenegro, Ingrid Dela Paz, Jomari Angeles, Malou De Guzman, Smokey Manaloto, and Maxene Magalona. The series also has its own spin off titled ZEKEling Maging SHIELA, an iWant original series that features the love team of Donny Pangilinan and Kisses Delavin, which has been raking views since its launch. Don’t miss PlayHouse on ABS-CBN and ABS-CBN HD (SkyCable ch 167).